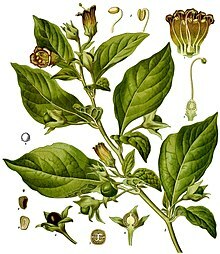 Belladonna (atropa belladonna) is a deceptively named lethal poison. But the name means "beautiful woman" in Italian. Maybe its English name is more accurate: Deadly Nightshade. Agatha Christie used it in several of her mystery plots including A Caribbean Mystery and The Big Four. 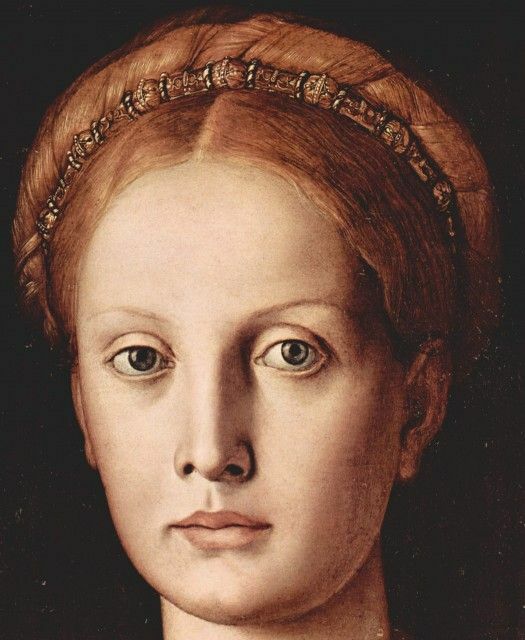 In the middle ages, women used it for cosmetic purposes—it creates a reddish color on the skin, which made it an effective, if dangerous, form of rouge. But it was especially prized for making eye-drops that dilated the pupils, because appearing to be nearsighted was considered super hot in medieval Italy, apparently. But it's a powerful killer. Its active ingredient is the alkaloid atropine. A single leaf can be lethal if ingested, and only a couple of those pretty berries can be fatal. externally as a poultice, either fresh or dried and powdered. The poultices were also used to treat gout and neuropathy. Belladonna is still used to dilate pupils for eye examinations, and it is sometimes used to treat cancer patients undergoing radiation treatment, because it decreases swelling. In ancient Rome it was also a popular method for disposing of one's enemies. Livia, the wife of Augustus, was rumored to have used it to rid herself of any number of rivals. And Plutarch reported that it was used to fell Mark Anthony's army during the Parthian wars. Buchanan's History of Scotland from 1582 named deadly nightshade (also called "dwale") as the poison MacBeth used to drug King Duncan's guards so his men could later slaughter them. 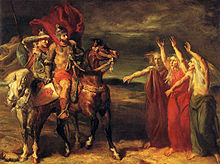 Did MacBeth get his belladonna from his witch friends? The symptoms of ingestion include vivid, bizarre hallucinations, and people have been known to take it recreationally—not always with happy results. Belladonna was one of the ingredients in the "flying ointment" that witches were said to have applied in order to "fly" in their rituals. The hallucinogenic properties of the plant were probably the active factor here. Opium was usually involved as well. America and most of the rest of the world. The potency of belladonna is increased in combination with alcohol. Symptoms of belladonna poisoning are burning throat, delirium, mania, pupil dilation, blurred vision, fever, dry mouth, drowsiness, dizziness, constipation, and nausea. as a natural remedy for many common ailments from teething pain to the common cold. But most medical professionals recommend you only take it only while under a doctor's care. Supplements are not regulated so patients have no way of knowing the exact dosage in each tablet. Given the deadly nature of the plant, it's advised to use caution. On the other hand, would-be murderers would have a tough time doing away with somebody using over the counter belladonna. The homeopathic doses are so tiny you'd need a truckload to do damage. And even an overdose on the larger-dose supplements would be more likely to make a person hallucinate than harm them permanently. What about you, readers? Have you ever taken belladonna? Did you have any adverse effects? Can you think of other mystery novels or films where it was used as a poison? Here are links to the other posts in this series. 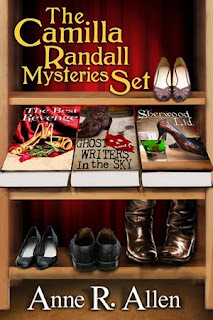 Ghostwriters in the Sky, Sherwood, Ltd. and The Best Revenge in a boxed set. 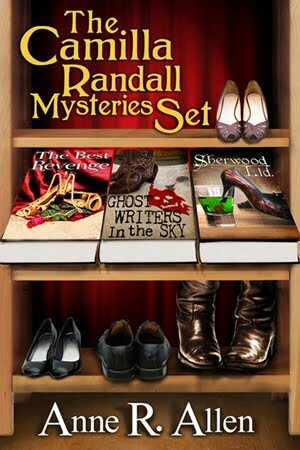 These mysteries are a laugh-out-loud mashup of romantic comedy, crime fiction, and satire: Dorothy Parker meets Dorothy L. Sayers. Perennially down-and-out socialite Camilla Randall a.k.a. "The Manners Doctor" is a magnet for murder, mayhem and Mr. Wrong, but she always solves the mystery in her quirky, but oh-so-polite way. Usually with more than a little help from her gay best friend, Plantagenet Smith. No, can't say I can think of a novel that used belladonna. I'm really enjoying this series, Anne. Enlarged pupils were considered hot? How odd. I wonder how that started. So a nice salad of belladonna leaves + a chilled bottle of rosé = a constipated corpse? Would need some high quality detective work to ID the killer. Ruth--Haha! The Case of the Constipated Corpse--I love it!